The Arts and Crafts Fair, which is organized and run by the Friends of the Sherborn Library, began as an annual event 47 years ago, in 1972. Held in the scenic Boston suburb of Sherborn, MA, the Annual Sherborn Arts and Crafts Fair showcases unique arts and crafts and artisan tastes from around New England and is an anticipated event for families and shoppers from Sherborn surrounding towns of Natick, Dover, Medfield, Wellesley, Needham, Hopkinton and Millis. The fair also features a popular spring plant sale, games and activities, as well as crafting education, community booths, a silent auction and several local food vendors. 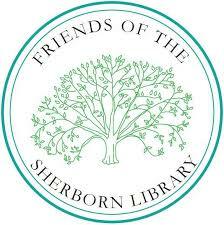 Presented by the Friends of the Sherborn Library. All proceeds benefit programming, services and materials for the library.